We cannot say for sure how much a divorce will cost. Every divorce case is different and there are too many variables to give an accurate estimate. But your lawyer can discuss which factors may influence how much your divorce will ultimately cost you. The actual costs of these fees are variable, however, dependent on things like the scope of the discovery process, whether you require expert witnesses, and more. Below are several other factors that can affect the cost of your divorce. A do-it-yourself divorce may be the cheapest option, but it is also the riskiest. You and your spouse will be the only ones responsible for completing every step of the divorce process. This means filing the right papers in the right place, meeting the court’s requirements for divorce agreements, creating a parenting plan, and more. And beyond the logistical challenges, couples who attempt do-it-yourself divorces often run into disagreements regarding the terms of the divorce. This only serves to delay the process and drive up the ultimate cost of the divorce, as both will likely then choose to hire a divorce attorney after having already spent time trying to do it themselves. While a divorce attorney will require a legal fee, having a lawyer well-versed and familiar with the divorce process may have several important benefits. For one, it gives you an advocate who will exercise your rights and make sure the terms of the divorce are fair for all sides. Your lawyer will also make sure you file paperwork correctly, get the documents you need, and negotiate a fair divorce settlement. All this can have cost-savings effects in the short- and long-term. In the short-term, your lawyer can make sure you file paperwork correctly, avoiding extra filing fees to correct mistakes, for example. And in the long-term, your lawyer can work towards child support, spousal support, property division, and other terms that are fair and protect you into the future. The complexities of your case will also impact the cost of your divorce. For example, couples with no children and limited marital property will likely have a simpler divorce than a couple with children and numerous high-value marital assets. More complex cases also take more time to settle, driving up costs. You can simplify and shorten the divorce process by coming to an agreement with your spouse outside of court regarding property division, child custody, and all other divorce-related issues. This might mean making a few concessions in the spirit of compromise. Some couples cannot stand each other by the time they decide to end their marriage, and the divorce process may only exacerbate it. But this is not true of all couples. Spouses who are amicable and cooperative may ultimately reduce the costs associated with their divorce by speeding up the process and avoiding going to trial. Spouses who are combative, argumentative, and contest every aspect of the divorce negotiations may prolong the process, driving up costs for both sides. No two divorces are alike, making it impossible to predict exactly what you will pay to get divorced. But our divorce lawyers can discuss the various fees and costs you might expect during the process, and further explain the factors that affect costs. 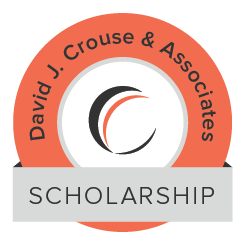 For more information on how David J. Crouse & Associates, PLLC can help you through your divorce, call 509-624-1380 today.